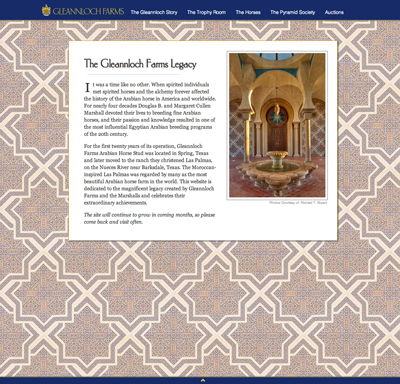 Just completed phase 1 of a great project for a legendary arabian horse breeding farm in Texas. Famous in the Arabian horse world for breeding an amazing number of champion horses. I was assisted by my talented and lovely colleague, Phillippa Ewing, whose amazing writing abilities made the project a great success.